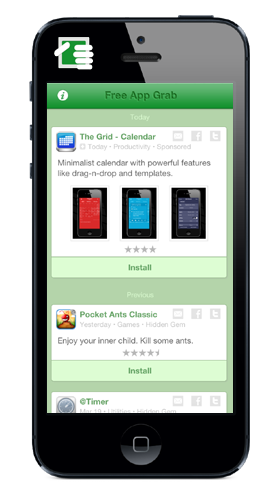 Free Apps and deals daily for your iPhone. We watch the sites and apps, talk to developers for exclusives, and comb the AppStore for great daily deals and hidden gems for your iPhone. If we see a free app or great deal, we will let you know about it. All presented in a clean familiar way without banner ads or annoying user interfaces designed to keep you trapped longer and click more. We are targetting mostly Apps, but will throw in a good game or two. We tend to avoid apps with banner ads. We do look at and like high reviews but know how AppStore reviewers tend to be. If the app has InApp purchases we try our best to see if there is value there without using them. So give it a try. A Free app for Free Apps... There, we already got you started with FREE. Have a tip or are you a developer who wants to promote their app. Get in touch with us.